I have thoroughly enjoyed this training. Sue gives a wealth of tips that can easily be put into place in ANY classroom – Thank you! Really helpful workshop. The books are fantastic and easy to use. The tweezer advice was also 5* – great tips from Sue! 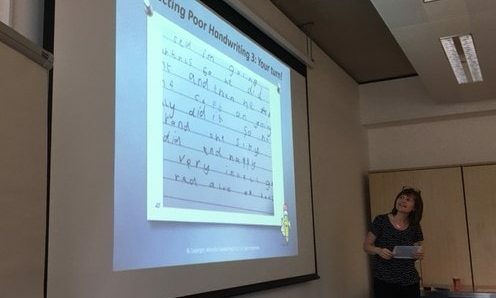 The training provided an excellent insight into the teaching of handwriting and how to teach it effectively in schools. With over a decade of experience teaching handwriting to children, teenagers and adults, we have developed an expert knowledge of how legible handwriting is best achieved and we would love to share this knowledge with your school. All of the training sessions we offer to schools are interactive, fun and are tailored to each school based on their individual needs. We can train a minimum of 5 members of staff and a maximum of 100 members of staff, either after school or on inset training days. If you are interested in booking a training session with Morrells Handwriting, email or call today to enquire about availability. Prices for our training sessions are based on a 1 hour workshop and we can invoice your school. 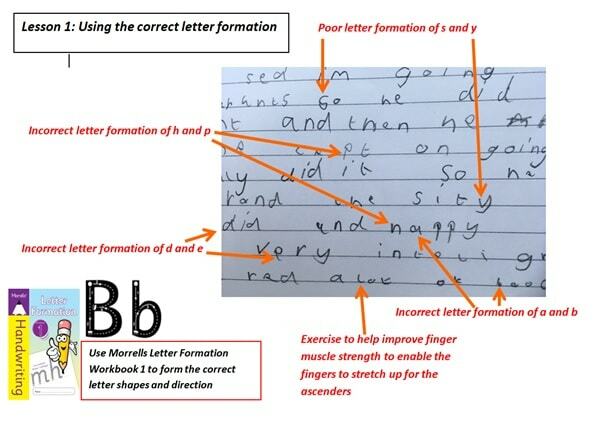 Clear whole-school approach to neat, legible writing from early stages of writing. It is vital that parents understand how they can help with their child’s handwriting at home, so their child can receive the best support both inside and outside of school. It is for this reason that, along with our teacher training sessions, we at Morrells also offer handwriting workshops for parents in schools. 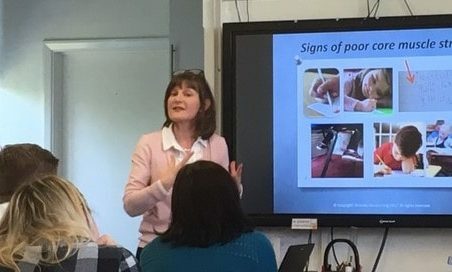 We can carry out a handwriting workshop at your school, which we have specifically designed to teach parents how they can support their child’s handwriting development at home. These workshops can be carried out after school and will be offered free to schools that purchase the Morrells Handwriting books. Sue Smits has been teaching handwriting for over a decade and can identify and correct a handwriting problem in minutes. Her free workshops are fun, informative and offer a wealth of practical handwriting tips to ensure children, teenagers and adults achieve speedy legible handwriting. Sue holds a number of workshops throughout the year in many retail shops. We offer 15 minute slots between 10:00 and 16:00 at this free handwriting workshop at Left n Write Ltd, which is inside the Wise Owl Educational Toy Shop in Worcester. Drop into any of our free instore workshops between 10:00 and 16:00. 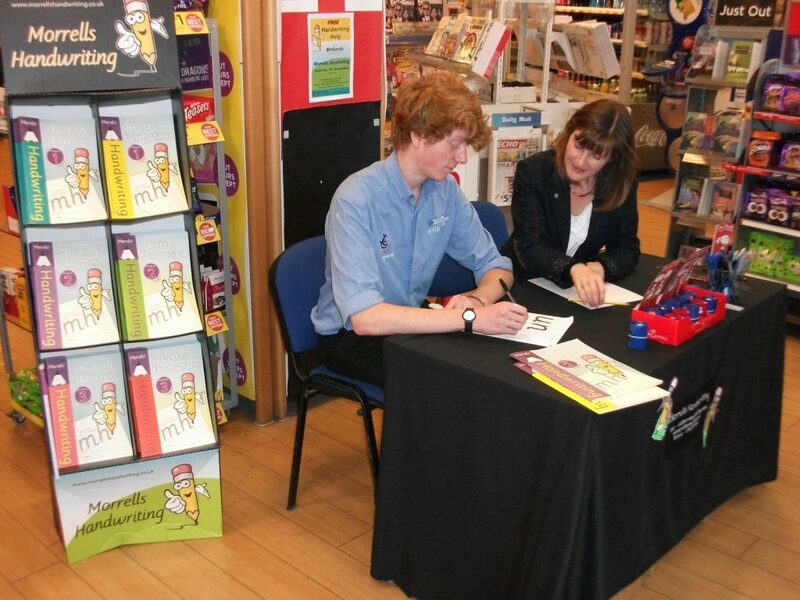 Check with your local WHSmith store to see when our next workshop will be held. You can drop into one of our FREE instore workshops to get expert handwriting advice. Please note: during busy times you may have to queue. Please contact either the venue or Morrells Handwriting if you prefer to book a slot. Our handwriting workshops are perfect for children, teenagers and adults and use Dyslexia and Dyspraxia friendly resources.